The opportunity to stay with such a rural village with its own language and culture is very unique. 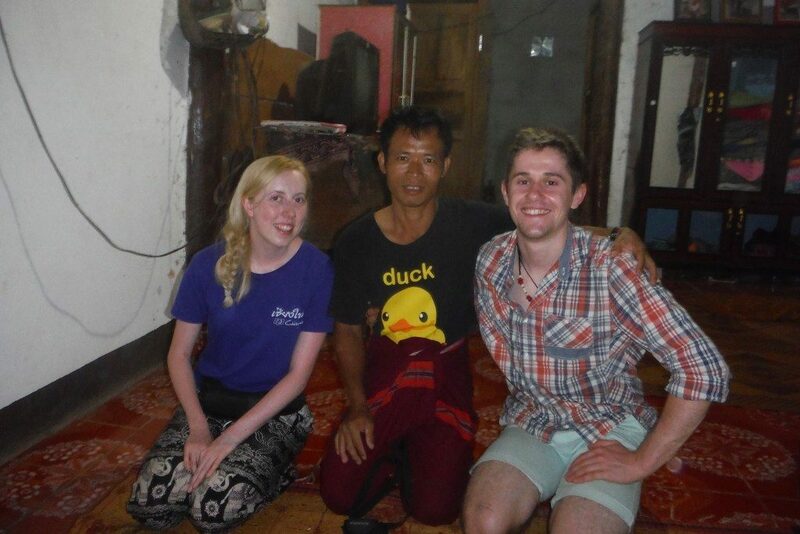 The homestay I had was very friendly and funny. They welcomed me with open arms and did everything they could to make my stay pleasurable which it definitely was. The food was basic but still very tastey and there is lots of it so you will never go hungry, there’s always more rice! The staff are great too, Talia and Kerri were both welcoming and helpful throughout the stay. They both have an overwhelming desire to care for these people and elephants, and you will quickly see it shine through in their personalities after a short time with them. The project itself was much more than I expected in more ways than one. This trip is about more than just the elephants as you will quickly realise once you arrive. The project was well ran and varied, no day was ever the same. 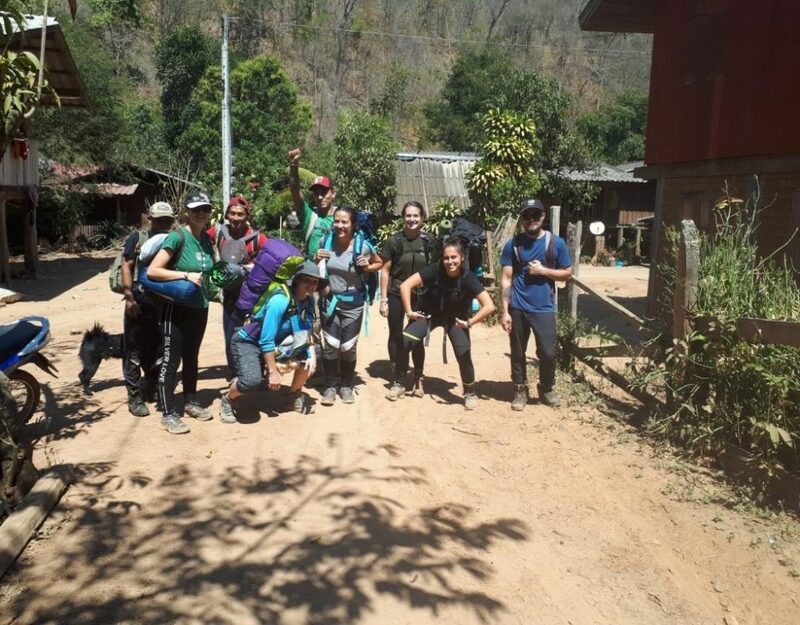 Activities range from trekking to the elephants, eating lunch in the forest, teaching English to the mahouts, children, and nursery kids, basket weaving, massages, night hikes, learning the local language, buying clothes and other things made by the locals, farming, planting fruit and vegetables, helping out the homestay, the list goes on! Kerri keeps things interesting and varied, and I cannot complain for everything that has been organised for us. The elephants are magnificent creatures with very unique personalities. The first hike to them is always very exciting when you find them and feed them for the first time. It got a bit hectic at feed time so I was sure to listen to the team and the mahouts. I seriously doubt there is anywhere else that allow you to get the opportunity to spend as long as you do with these elephants and interact with them the way you do here. After feed time the elephants do their own thing and freely roam in the forest eating as they please. Some are more social than others and come over from time to time to say hello, search your bag for that hidden apple (Gen Thong), or show off (Boon Rott), we had a lot of interaction time! The best thing about the elephant part of the project is that these elephants come to you of their own accord, they are not forced to, they are semi-wild (ex captive and need to be monitored by the mahouts) so this experience is much more natural and the elephants are clearly very happy and well looked after. Bear in mind, being semi-wild, some days we got more interaction than others it just depends how the elephants were feeling and where they are. 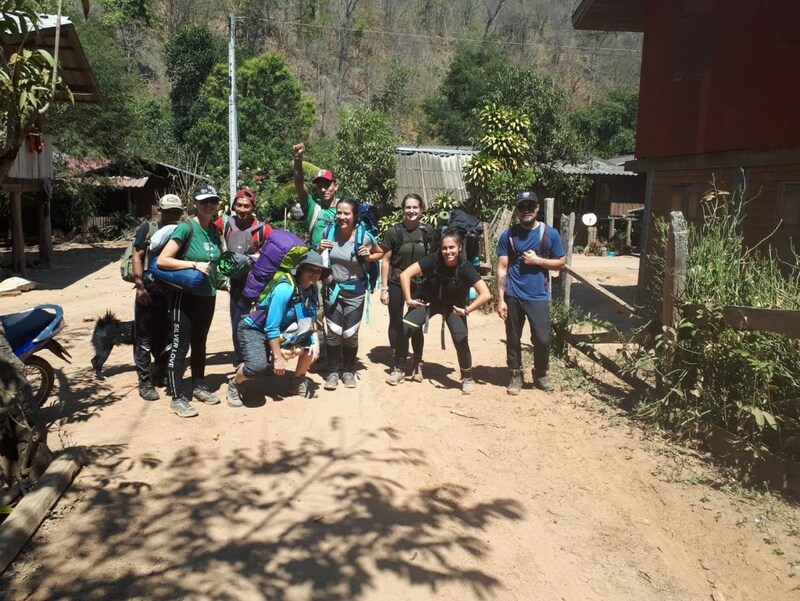 Top Tips for future volunteers: Bring: long trousers or something to cover your legs for the trek as its quite off road, bring enough insect repellent and bring ear plugs as night time is very noisy. Get to bed early as the days are long and physical and you will be woken up throughout the night and accept the fact there will be lots of bugs before you come. If bringing a phone, get an AIS sim card as this is the only network that works.